I love the sound of fuzz bass. But as a bass player, it sometimes seems like I’ve been on an endless quest for a great sounding bass fuzz circuit. 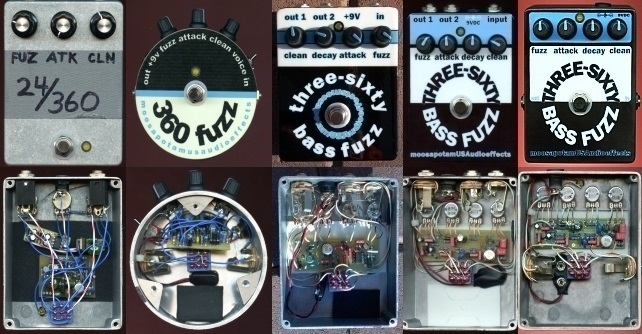 I’ve tried quite a few different ones, both commercial and DIY, and the one that I keep coming back to is the fuzz channel from the classic Acoustic 360 Bass Preamp. Over the years, I’ve built a number of different versions of the Acoustic 360 Bass Fuzz, always adding some additional tweaks and modifications to the next one to make it sound progressively better to my ears. And so, I’ve always had some version of the Acoustic 360 Bass Fuzz on my bass pedalboard. But, I think I might have finally gotten to the point where I just don’t need to tinker with it anymore. This may be my final revision of the Acoustic 360 Bass Fuzz.